The warm, funny memoir of Gregor Fisher, the much loved Scottish actor best known for Rab C. Nesbitt, told as he uncovers his dramatic family history. Growing up in the Glasgow suburbs, Gregor was 14 when he asked where he was christened and was told that he was adopted. But it wasn't quite that simple. And so began an unfolding of truths, half-truths and polite cover-ups from his various families. In 2014 Gregor approached Times columnist Melanie Reid to help him tell his story. Together they travelled through the mining villages of central Scotland to uncover the mystery of his birth and early life. What emerged was a story of secrets, deception, tragic accidents and early death, coldness and rejection from the very people who should have cherished him most, but a welcome from the most unexpected of quarters. 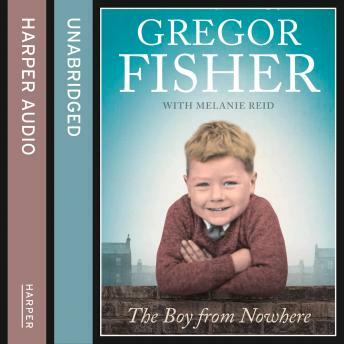 From the squalor of industrial Coatbridge after WW1 to his own 1950s Glasgow childhood, via a love letter found in the wallet of a dead man and meeting his sister outside lost luggage at Glasgow Central, Gregor shares his family story with warmth and blunt Scottish humour.